VSA Florida sponsors the Florida Young Soloists program, now in its fifth year. A statewide call for musicians and vocalists with disabilities age 25 and under is sent each spring. Three prominent music professionals adjudicate the applications and select the top two as Florida’s nominations to the VSA International Young Soloists program. The Florida finalists appear with the Florida Orchestra. 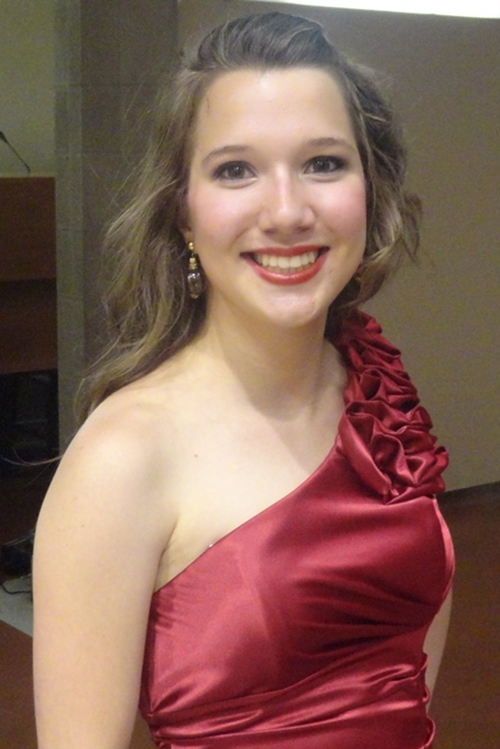 Today we have five questions for Lyudmilla Fuentes, one of this year’s Young Soloists. DCA: What do you enjoy most about making music? Lyudmilla: What I love the most about making music is that I feel completely free and that I can just let it all go. When and if I’ve had a bad day, I can start singing and all my cares in the world just float away. It’s my comfort zone, I guess I can say. DCA: Why do you think it is important for people to make music? Lyudmilla: I believe that music is the universal language and that it tells a story in a language that other people from other countries can also understand. I also believe that in times of trouble, it can bring the world together. DCA: Do you think you will always perform music? Lyudmilla: I am planning on pursuing my music as a career but also help those in need by raising money with my performances and bring awareness to people in other countries such as my homeland, Russia. DCA: Who are your favorite musicians or artists? Lyudmilla: My favorite musicians are Bocelli, Anna Netrebko and Pavarotti. DCA: Why are music and art important to Florida? Lyudmilla: Music and art are important to Florida because they enhance cultural development and provide for a source of expression and human interaction. This entry was posted in Cultural Conversation and tagged florida division of cultural affairs, Florida Young Soloists program, VSA Florida, VSA Young Soloist by culturebuildsflorida. Bookmark the permalink.